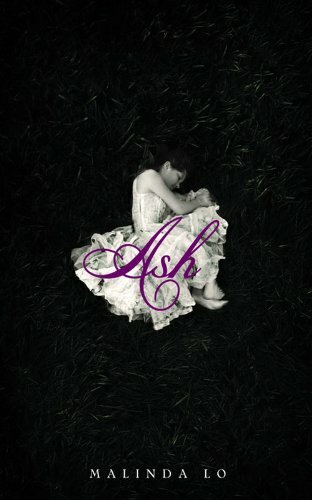 My Review: Ash is definitely one of those reads that you will appreciate more with time. It captivates you when you're reading and yet when you're done, you feel a bit disoriented. The only thing I could compare it to was when I first read Lisa McMann's Wake. At first I really didn't know what to think, but as more time passed and I looked back on it, I really enjoyed it. I can tell that Ash is going to be similar for me. I'm a huge fan of re-tellings of traditional fairy tales. Confessions of an Ugly Stepsister, Beastly, Sisters Red, etc. I just love them all. While Ash didn't quite reach the epicness of Confessions of an Ugly Stepsister (because well frankly Gregory Maguire is Da-Bomb) it was still a highly original re-telling of Cinderella. I loved how Lo encorporated the traditional folk tales of the day into the story. And guess what?! Fairies! I'm obsessed I know, but they really contributed a lot ot the story. The world that Lo depicts is reminiscent of Grimm's fairytales. The whole mood of the story was dark and foreboding. The old ways have been forgotten by all except for the country folk, who still cling to what other's call superstitions. However, Ash has seen the fairies that walk the Woods and wishes that she'd be stolen away like the girls in the stories to never return. Though Sidhean's world is intoxicating, Ash is pulled by to reality by Kaisa, the King's Huntress. I thought their relationship was beautifully done. You rarely see homosexual romances in YA novels, but having two girls is even more rare. I really enjoyed Lo's account of their blossoming relationship. Their friendship gradually turns into something more, and in the end they get their happy ending. Which I was really glad because I thought for sure there was going to be a tragic ending. Though there is no lost slipper, Ash was a wonderful new adaption of the classic Cinderella tale. It was refreshing and edgy. I thoroughly enjoyed it and I look forward to more by Lo. One of my favorite books I've read in a long time! You're right about the quote: it pins the fey to a tee, and I simply love it. Great review. :) In a few months, Huntress by Malinda Lo is coming out-- I can't wait to read that.